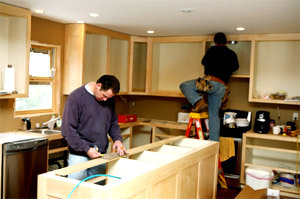 What you should do: If you can handle buying items such as plumbing fixtures,cabinets, countertops, and flooring, ask your contractor to take them out of his bid price. Be sure to agree on specific numbers and amounts of what you’ll be buying, and that you’ll have the items to the job site when they’re needed. You could save 10% to 20% or more on the overall cost of the project. TIP:Salvage materials are one way to save on building costs. Just make sure you use upcycled stuff wisely so you don’t harm your home’s value.